We stayed in one of the mews self-catering flats for 4 nights, in order to attend a splashy wedding. at the cathedral. The mews flat was perfect for this with a very sensible layout that left lots of space for hat-boxes and suchlike impedimenta. To put it politely, having two loos is absolutely crucial when everyone is trying to get dressed in their best at the same time. The hotel is right in the centre of the city with a great selection of pubs and restaurants, all within 5 minutes walk. Location was perfect - central but quiet and private. Staff always greeted you in passing, made you feel at home. Lovely and clean, and simply furnished and bed felt quite new. Central heating easy to manage. Staff were always attentive. Liked the fact that it is so central to the city. Had a magical Xmas stay at the Swan News, with the flexibility of the mews house & accessibility to the main hotel. Nothing was too much trouble for the staff & we loved every minute & Xmas was wonderful with a little Xmas tree in the apartment & beautiful Xmas displays in the main hotel. No 3 Swan Mews is the smallest but still well equipped. Two ovens, hob, microwave, dishwasher, upstairs and downstairs toilets and handwash, shower gel and shampoo and toilet paper are all provided. The location was great. The apartment was nice but not suitable for 4 adults. The Gin bar was nice. Unable to comment due to dietary problems which excluded eating in the hotel. proximity to cathedral and centre of Wells with easy parking. 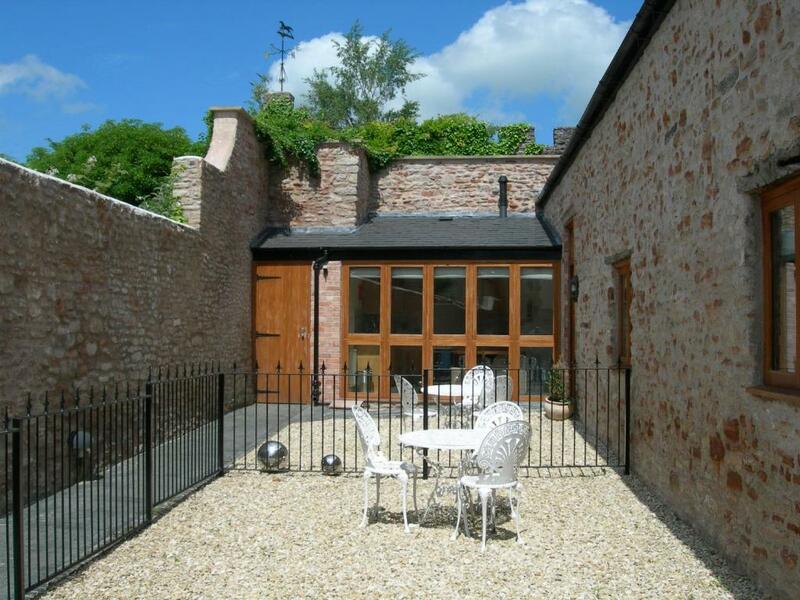 Lock in a great price for Swan Mews – rated 8.3 by recent guests! Swan Mews This rating is a reflection of how the property compares to the industry standard when it comes to price, facilities and services available. It's based on a self-evaluation by the property. Use this rating to help choose your stay! In a quiet, central location in Wells, these beautiful self-contained, fully equipped apartments are ideally placed for the beautiful county of Somerset. Owned by the Swan Hotel, the modern apartments at Swan Mews are a short walk away. Limited parking is available at the Swan Hotel. 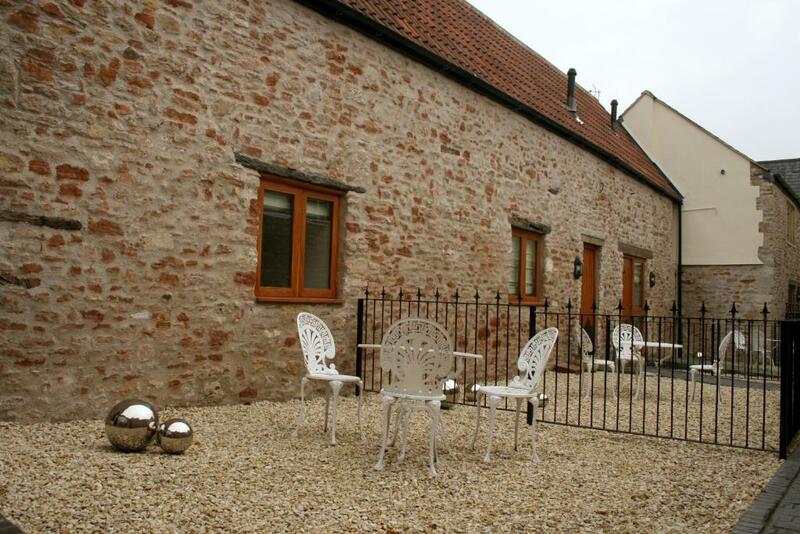 Swans Mews is an easy drive from Wookey Hole Caves, Cheddar Gorge, Longleat and Clarks Shopping Village. When would you like to stay at Swan Mews? With 2 bedrooms, 2 bathrooms, a separate toilet, flat-screen TV, hi-fi and a dining table for 4. Each suite is serviced weekly. With 2 bedrooms, a bathroom, a separate toilet, flat-screen TV and hi-fi. With one bedroom, a flat-screen TV and stereo system. With 2 bedrooms, a bathroom, additional toilet, a flat-screen TV and stereo system. House Rules Swan Mews takes special requests – add in the next step! Swan Mews accepts these cards and reserves the right to temporarily hold an amount prior to arrival. Should guests wish to eat at the restaurant they are advised to reserve a table in advance. Ashtray on the tables outside. Fake topiary plants outside. If there had been other people using the outside space it wouldn't have felt very private. Hot water was only lukewarm for the duration of the stay although reported to reception. The ground floor room was rather dark. Bed too small, breakfast had very limited options. Well laid out space, good sheets, good location. No dining table or chairs. We did have to ask reception for two extra chairs to entertain two relatives as there is only a settee and a dressing table stool for sitting on in the flat. It needs to have a receptacle for recycling. bathroom a little small, however this is not a show stopper. We booked through bookings.com and the information about the property indicated it was a 2 bedroom apartment with a double and twin room. We did not get that, we got a double room and bunk beds, not great for 4 adults, it also stated a court yard garden, we did not get that!!! The manager offered us twin rooms in the hotel but as a birthday party we wanted an apartment to be together. Also £18 per person for breakfast is ridiculous.